One of the best things about autumn arriving is the boot offering trickling into stores. After last year's over-the-knee phenomenon, the ankle boot seems to be back in a big way, and this time they're skin tight and brightly coloured or come in a variety of textures. 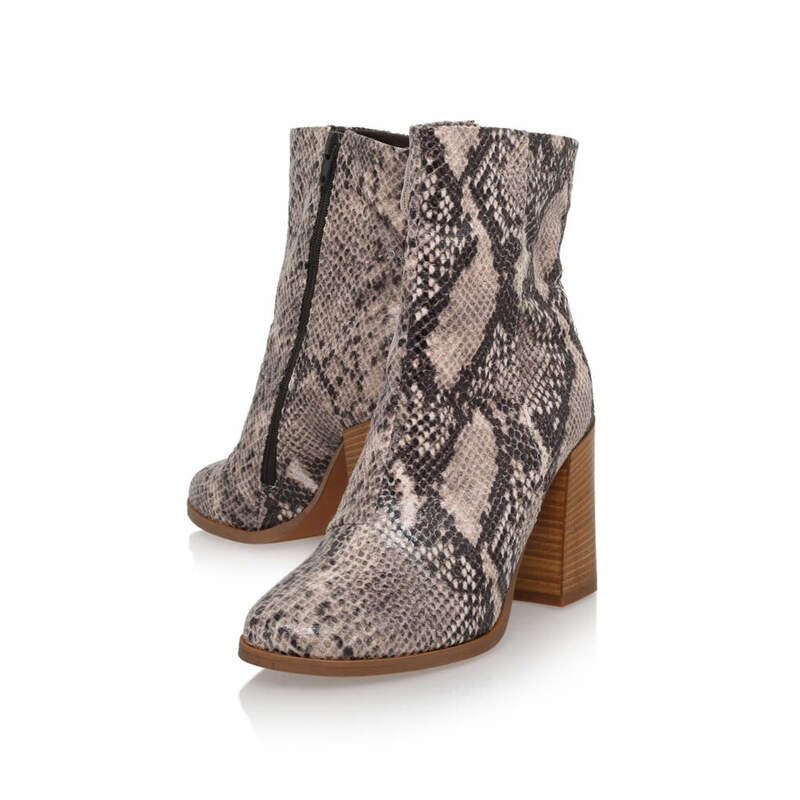 Snakeskin ankle boots are calling out to me at the moment, mainly because they can be worn with pretty much anything while still being a statement shoe, and won't really date. I'm loving these ones from Carvela for their print, solid chunky heel and skinny fitted shape that I'm seeing everywhere at the moment.